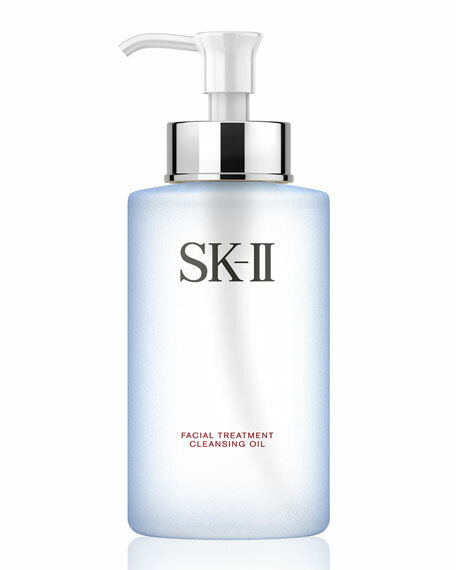 SK-II Facial Treatment Cleansing Oil, 8.4 oz. 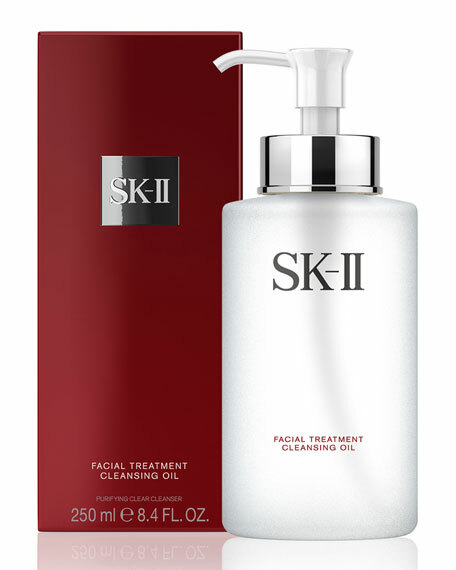 SK-IIFacial Treatment Cleansing Oil, 8.4 oz. A rich formula of Pitera and Apple Seed extract that deeply cleanses pores and effectively eliminates even the most stubborn makeup, mascara and sunscreen. This 2-in-1 cleanser and makeup remover leaves skin clear and radiant. Recommended for combination to oily skin types. Rich in vitamins, amino acids, minerals, and organic acids, Pitera is the SK-II antiaging secret weapon. Its formulation started in the 1970s with an unlikely discovery at a Japanese sake brewery. There, scientists observed aging sake brewers with remarkably youthful-looking hands and related it back to the fermentation liquid that the brewers handled. The scientists returned to their lab, conducted countless experiments, and created the potent formula that's made their skincare line an international success. The SK-II range now includes serums, creams, lotions, and moisturizers, as well as treatment masks, concentrates, and essences. Diptyque l'Ombre Shower Oil, 6.8 oz. Erno Laszlo Detoxifying Cleansing Oil, 6.6 oz.